President Donald Trump’s new pick for Interior Department secretary played a key role in gutting protection for migratory birds, according to emails obtained by Reveal from The Center for Investigative Reporting. The newly obtained emails from 2017 and 2018 indicate that David Bernhardt, a former industry lobbyist, has been personally involved with intricacies of new policies at the Interior Department that benefit oil companies and other industries. Trump last week announced that he would nominate Bernhardt, currently the department’s acting secretary, to replace Ryan Zinke, who left office last month amid ethics investigations. The emails provide rare insight into Bernhardt, who is known for avoiding paper trails. Current and former department officials told Reveal that he directed staff not to write emails or take notes during meetings. For more than 50 years, federal officials used the Migratory Bird Treaty Act to prosecute and fine companies that inadvertently kill geese, ducks, cranes, eagles and hundreds of other migratory bird species with industrial hazards, such as oil pits and wind turbines. But under Trump, the Interior Department issued a legal decision in late 2017 that revoked that ability. The energy industry lobbied the administration to scale back prosecutions under the law, according to a report published by Reveal last year. Interior Department spokeswoman Faith Vander Voort said it’s “fair to conclude” that Bernhardt decided the direction of the bird policy. She did not respond to questions about his reasons. In his new role in Trump’s cabinet, Bernhardt would be responsible for millions of acres of public land that amount to about one-fifth of the United States. He oversees oil and gas development, coal mining, national parks, wildlife refuges and endangered species. He was a political appointee at the Interior Department during the George W. Bush administration, rising to solicitor, its top lawyer. Before and after that, he was an industry lawyer, lobbying for companies that fought to weaken environmental protections and expand access to resources. Bernhardt didn’t recuse himself from working on the bird policy, Vander Voort said. As an attorney, at least one of his clients, an energy group, had pushed for the change. “The Acting Secretary is meticulous about complying with his ethics agreement and recusals. To do that, he works closely with career ethics officials that have an understanding of the totality of the law,” Vander Voort said. Among Trump’s environmental rollbacks, the legal opinion that weakens the 100-year-old Migratory Bird Treaty Act stands out because the Interior Department was able to move quickly, without a public process or congressional approval. In addition, it reversed a policy that had broad support from Republicans and Democrats over nearly 50 years. Under the new policy, it’s still illegal to kill birds intentionally. But millions of birds die inadvertently in collisions with communications towers, power lines and wind turbines, and many suffer grisly deaths in pits of wastewater at oil and gas operations and mines. 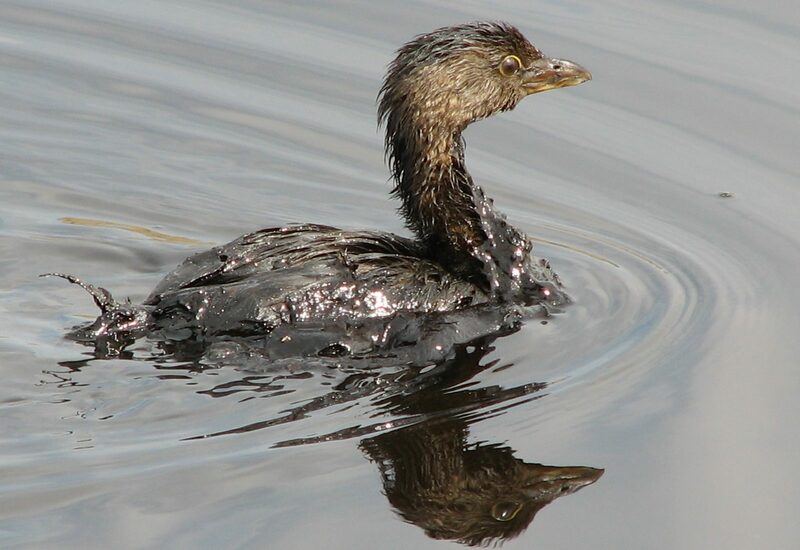 For several decades, the threat of prosecution forced industries to take measures to protect birds, such as covering oil ponds with nets. Bernhardt’s role in eliminating the prosecutions for unintentional kills reflects his larger agenda of removing regulatory barriers to energy companies and other industries, making it easier and cheaper to produce oil and gas and end reliance on foreign energy. 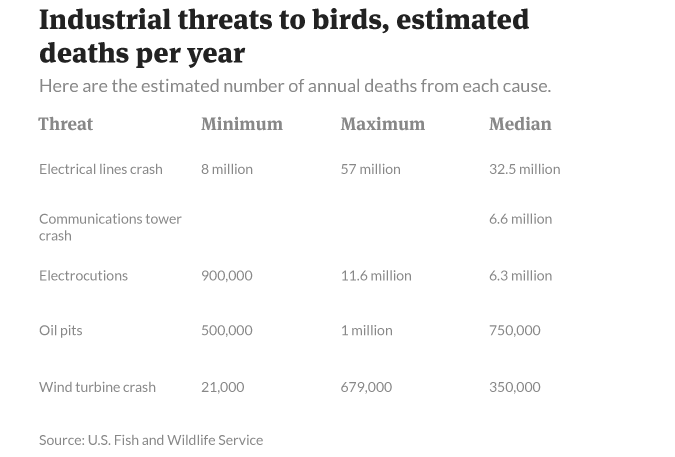 “The reality is that overwhelmingly, most of the mortality to birds is caused by unintentional actions, and industry is one of the sources of a lot of mortality,” said Amanda Rodewald, a Cornell University ornithologist. Brad Bortner, who was chief of migratory bird management at the U.S. Fish and Wildlife Service until he retired just over a year ago, recalled being shut out of the decision-making process for scaling back bird protections. Bortner said he repeatedly tried to schedule meetings with Jorjani and Bernhardt, but they were canceled. Meanwhile, industry representatives were pressing for this change, he said. Eight states and some environmental groups have sued to overturn the legal opinion. The recently obtained emails were among several thousand pages of documents that Reveal received in response to a Freedom of Information Act request. Reveal requested documents related to the bird act decision early in 2018 but did not receive them until December, and then only after suing the Interior Department. At the end of December, the department proposed a rule requiring Freedom of Information Act requests to be more specific and allowing officials to respond slowly or not at all. Reveal joined other news organizations in a letter opposing the rule. But the response to Reveal’s request about the bird act shows the department already has a culture of secrecy. The department’s Office of the Solicitor found 3,782 pages pertinent to Reveal’s request but released only 497 in full. Most of the documents had major areas redacted, which makes it difficult to determine Bernhardt’s positions. For instance, in one email with a subject line about the bird opinion and a Hawaii fishery decision, Bernhardt wrote, “I agree with his last point.” But it’s impossible to know what Bernhardt was agreeing with because the previous email is redacted. This entry was posted in Investigative reporting by Elizabeth Shogren. Bookmark the permalink.